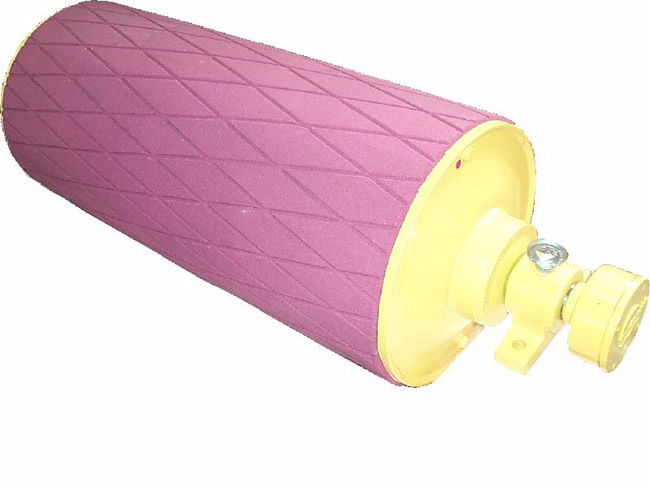 Motorized Pulley diameter 500 mm - Length min. RL 600 mm and power between 2.2 and 30.0 kW. Meant for applications where the belt requires a larger pulley diameter like grain storage, cement, steel, fertilizer and heavy mobile crushing & screening. If you do not find the belt tension needed in this diameter, you might have to choose a larger one. 500L is meant for similar applications as 400M except for the fact that the belt requires a larger pulley diameter. (Motor/gearbox origin from 400M). 500L are typically used in grain storage, cement, steel, fertilizer and heavy mobile crushing & screening applications. As to outer dimensions, 500L cannot replace 500H (Former TM500/TM501). Using a solid and robust 3-stage gearbox, 500M provides the necessary torque & belt pull needed for low speeds combined with high power for irregular loadings. (Motor/gearbox origin from 400H). As to outer dimensions, 500M cannot replace 500H (Former TM500/TM501). The construction of 500H is the heaviest of this particular range with internal parts such as gearbox, Ø 65 mm shaft, matching bearings etc. are designed for tough, irregular, extreme and brutal working conditions.